GG_MAP_USP_TEX @ 17 Buddies - Download custom maps on the best global website ! 19 guest(s), 1 member(s), 150 bot(s). Our site hosts 34549 registered members. 6 absolute unique visitors today (474 yesterday). 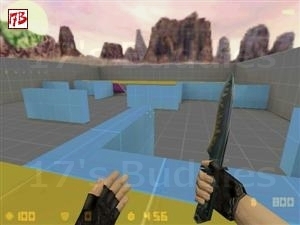 17Buddies's website offers at this time 105 566 total uniques and verified maps including 56 826 HL1 maps, 45 467 HL2 maps and 3 273 CS:GO maps, representing 363,35 GB disk space. There were today 350 maps downloads (417 yesterday) representing 1,71 GB transfered (2,05 GB yesterday). This page was generated in 0.10 s and required 168 SQL queries.